If the time has come to replace your worn Audi carpet, we can help. We offer an assortment of automotive flooring options to help you with your interior project. 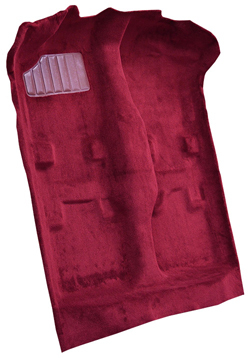 Replacement carpets are molded to fit the contours of your Audi and will meet or exceed OEM specifications. 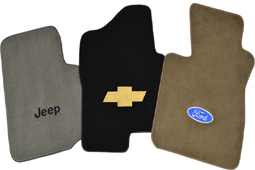 Most applications include jute padding underlayment and driver side heel pad. Carpet replacement costs can vary depending on whether you will do the installation yourself or have a shop install for you. Other variables can include carpet material upgrades, such as our thick plush Essex. Essex carpet has been an aftermarket material choice since the late 2000's and is a thick modern version of cut pile material. It can be used in almost any model vehicle, including Audi. If your Audi interior space is noisy while driving, you might want to purchase some additional sound deadener or heat shield. Sound deadener kits are custom cut for each vehicle and meet federal standards for flammability retardation. 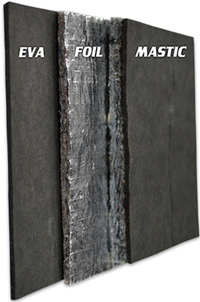 Sound deadener materials include EVA, Foil, and Mastic. If a kit is not available for your Audi, consider a sheet of sound deadener that can be cut to size.